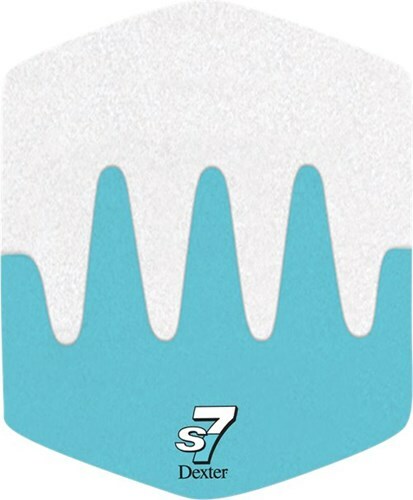 This Dexter SST Saw Tooth S7 Sole has been designed to provide a bit more than average slide. The sliding scale goes from 1-10,(1 would give the minimum slide, 10 would give the maximum slide).The Dexter SST patented VELCRO (VELCRO is a registered trademark of Velcro USA Inc.) System allows the bowler to change the shoe's sliding sole and heel instantly to adjust to any approach condition: from tacky to slippery, from synthetic to wood. Approach: Recommended for normal approaches. Bowler Profile: For the stroker who needs a longer slide. Due to the time it takes to produce the Dexter SST Saw Tooth S7 Slide Sole ball it will ship in immediately. We cannot ship this ball outside the United States.